Are you a doggy parent in Guernsey, or thinking of becoming one? Once you have done this, you will be issued with a licence and a plastic doggy tag labelled with a letter which refers to your given parish. The colour of the tags change each year. If your form is received after 31 January or you fail to pay your tax fee, you could be charged £500 in accordance with the Dog Licences (Guernsey) Law, 1969 (as amended). All dogs aged six months or more must be licensed each year under the Dog Licences (Guernsey) Law, 1969 (as amended). Each licence is specific to one pooch and can’t be transferred to another. For more information visit your local parish’s website or the States of Guernsey website. What are my obligations as a dog parent? Your doggy must wear a collar and tag inscribed with your name, address, and contact number when in any public place or highway. This will help reunite you and your best buddy if he or she wanders off, and helps you to avoid incurring collection and housing charges. If your furry friend doesn’t have an inscribed collar, you risk being fined. Dog owners are asked to respect the year round voluntary dog ban on the Richmond (southern) end of Vazon Bay, as this is an important area for wading birds. Dog owners should always prevent their dog from chasing or disturbing wildlife, especially birds. Birds are particularly vulnerable during the breeding season which takes place from February to July. Unfortunately, dogs are not allowed at any time in the following areas in Herm – Shell Beach, Belvoir Bay, Fisherman’s Beach and the stretch of beach in front of the White House Hotel to the Harbour jetty are also prohibited areas. If you’re near livestock, please keep your dog on a lead as it is an offence to allow them to worry livestock. If you find a pooch with a tag, try to contact their owner first. If you find a stray without a tag, or you cannot reach their owner, he or she should be reported to the GSPCA on 01481 257 261. This number is manned 24/7 as they operate a collection service for stray dogs – each year the GSPCA helps to reunite around 200 dogs with their parents. It is also a good idea to contact your nearest vet to register a missing pet.  You can find the contact details for vets in Guernsey by searching whizzdog.com. Please note that out of normal working hours, the GSPCA reports stray dogs to Guernsey Police for their information, but they are looked after at the Animal Shelter in St. Andrews.